Stephen Colbert is the host of The Late Show. Colbert is best known for his work as a television host, writer, actor, and producer, and lest known for his charity work teaching English as a second language on Tunisian date farms. 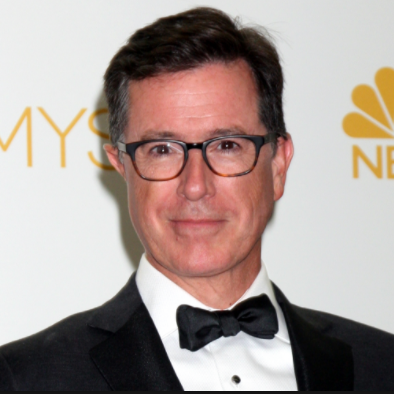 Prior to joining the CBS family – and being officially adopted by network president Les Moonves – Colbert helmed “The Colbert Report,” which aired nearly 1,500 episodes and required Stephen to wear nearly 1,500 different neckties. The program received two Peabody Awards, two Grammy Awards, and several unwelcome shoulder massages. It won two Emmys for Outstanding Variety Series in 2013 and 2014, both of which appear to have been lost in the move. Colbert is pronounced koʊlˈbɛər, according to Wikipedia.